January Sale 2019: a sweet success! There are not that many people in this world that could sell grass skirts to Eskimos, but WDMC Treasurer Peter Metcalfe is very probably just one of those types of men. Every year the last Wednesday evening in January sees Whickham and District Motor Club members come together for the Annual January Sale, where members have the opportunity to donate all manner of expensive, exciting and valuable merchandise for auction, whilst what normally turns up is a completely unknown quantity of items and offerings the like of which may have never been seen before; (except of course those items that are re-appearing having been awarded as additional gifts last year). This year would see the Silver Anniversary of the January Sale, formerly hosted by WDMC founder member Lynne Foster and nowadays hosted by the extremely capable Peter Metcalfe, who each year manages to auction off an amazing variety of both useful and not-so-useful items to club members to raise money foir our chosen charity; this year, as in 2018, the proceeds were given to Northumbria Blood Bikes. Whilst it may not have been apparent to the untrained observer, especially as Peter sometimes struggled to get bids in even when starting as low as 10p, it is always a very pleasant surprise to see just how much is raised each year due to a combination of the enduring appeal of bidding at an auction and the generous members of the motor club: whether attendees bidding or those who willingly donate to the cause. This year saw some great items on offer: from books, caps, beanie hats and magazines, computer games and steering wheels, as well as a huge number of superb quality, locally produced and apparently tasty biscuits courtesy of Karl Knox, to the incredibly generous voucher for £100 worth of work at Derwenthaugh Motors courtesy of the amazing Tony Chrisp. For some items bidding was slow, for others more animated, for example the biscuits: you'd think it was an auction in a famine zone, they were just so desirable, and bidding was pretty frantic! In truth, most of the biscuits didn't even make it out of the building, as many of the winning bidders decided they tasted just too good to resist. Peter was as incredible as ever, describing things as only he knows how, bringing a great deal of fun and laughter to the event and making everyone's evening thoroughly enjoyable. Almost everything sold on the night, some things going for surprisingly small amounts, others for much more than expected, but as each item went under the virtual hammer, the total being raised for charity was steadily building. The highlight of the evening was undoubtedly Tony Chrisp's donation of work, eventually won by new member Cameron Whitley; presumably Cameron either has some work to do on his car already or is perhaps planning on being a little bit more adventurous next time he's out competing! Once Peter had exhausted the items on offer and everyone had made all their bids, successful or otherwise, the grand total was counted up and the Club had raised a very impressive £170 for the Northumbria Blood Bikes. We do know that they are very grateful for this as they are funded entirely by donations and every pound raised is as valuable as every other. 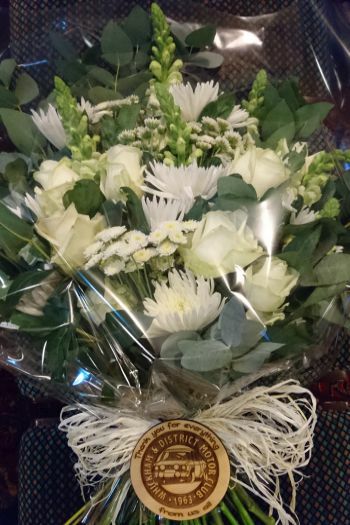 Many thanks indeed to all who brought goods to be auctioned off, and in particular to Auction Master Peter Metcalfe who showed once again just how incredible he is to raise such a great deal from all the 'quality merchandise' on offer. A vital EU vote on an insurance law change that could have been catastrophic for motorsport has gone in the sport's favour. The 2014 Vnuk court case set a precedent that all vehicles in the EU should have insurance, even if they are being used on private land, and that the Motor Insurance Directive (MID) was being interpreted incorrectly. That would mean all cars competing in motorsport events in Europe would need to be insured individually, and instances such as cars colliding on a racetrack could become road traffic accidents and involve the police. Dan Dalton, an MEP for the West Midlands, is the son of a former marshal and timekeeper and had put forward the motion of excluding motorsport from the amended wording of the MID to the EU Parliamentary committee he sits on. The internal market committee voted on the amendment on Tuesday and sided with excluding motorsport from the implementation of the new insurance law. Dalton had previously said that the result was "too close to call". The amendment still needs to be passed by the main parliament, but it rarely goes against the decisions of its committees and the vote in the committee was seen as the most important. "I am relieved that my fellow MEPs from this committee listened to my concerns about the risk this draft law poses to British motorsport," Dalton said. "As the son of a former marshal, I know that this is a way of life for many people in the UK. This is a victory for common sense regulation. What happens next is that all MEPs will vote on this compromise at one of the next meetings in Strasbourg. This could be as early as February. As a general rule, they will follow what has been agreed by our committee." In terms of next steps, MEPs could vote - and will likely back the committee's decision - on the wording as early as February in what is known as a plenary session. Once that vote has been held, and assuming it has been successful, the MEP responsible for the law will then negotiate the exact wording of the text with the EU governments and the European Commission, known as trilogues. It is hoped this process will be completed by May, as failing to complete the law before the EU elections could derail it with new MEPs departing and entering the parliament after the elections. In the UK, if this process is completed before Brexit - or during the transition - it will apply in a soft Brexit. A hard Brexit would mean the UK would have to create its own insurance law. Motorsport UK are pleased to bring you the regulation changes decided at the Motor Sports Council that affect the Motorsport UK Yearbook. To read these decisions, please click the link below. As well as the new calendar, the WMSC approved a raft of changes to the F1 rules for 2019 – as exclusively revealed previously by Motorsport.com. - minor modifications will be made to the halo fairing to help with driver extraction. - For 2020, the team personnel curfew will increase from eight to nine hours. 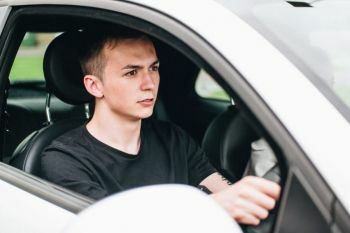 New figures from the City of London Police’s Insurance Fraud Enforcement Department (IFED) shows young drivers are most likely to fall victim to “ghost brokers” in a motor insurance fraud. Ghost broking is the name given to the scam of selling fraudulent car insurance using three basic methods. They either forge insurance documents, falsify details to bring the price down or take out a genuine policy, before cancelling and claiming the refund plus the victim’s money. The Land Rover 70th anniversary will be marked this year with a series of high profile events. 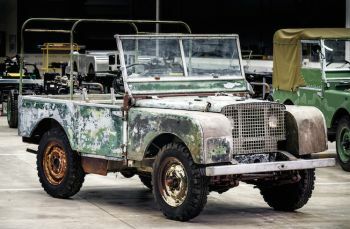 The first will be the nuts and bolts restoration of the vehicle that started it all – the pre-production Land Rover shown at the Amsterdam Motor Show back in 1948. This gave the motoring world its first glimpse of the profile that would become instantly recognisable as a Land Rover – off-road icon, work horse and fashion statement.